The West Indian kitchen today, five hundred years after Columbus, is a wonderful blend of flavors and cooking styles. The islands are blessed with some of the richest soils in the world, and the different peoples who have settled there have developed a vibrant hybrid cuisine. Scottish rebels, enslaved Africans, indentured Portuguese and Chinese, and finally the East IndiansвЂ“all of these brought with them their traditional foods and cooking techniques. This book takes as its framework the stratified history of the islands from the early times of European exploration to the present day. The author draws extensively on original sources, such as diaries, which describe voyages from the China Sea, the Indian Ocean, and the Atlantic, and the implantation of new lives in the islands. 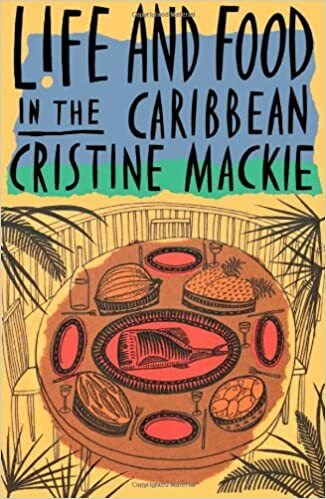 She has collected recipes from the differing cuisines of all the peoples who live on the islands, and she portrays the way of life that has developed through the generations. She writes: "The Caribbean is an esthetic as full of emotion as a work of art. The air you breathe, the light that fills you, the myriad voices of nature and the past, the soil that provides for you-all these, wrapped together, are expressed in the kitchen."